Friday night in Bergen, Norway, “The First Lady of Boxing”, CECILIA BRAEKHUS, (31-0-0, 8 KO’s), was victorious once again defending all five major welterweight world titles (WBC/WBA/WBO/IBF/IBO), over current WBC Junior Welterweight World Champion ERICA “La Pantera” FARIAS, (24-2-0, 10 KO’s), of Buenos Aires, in front of a massive crowd at the country’s major concert venue, Bergenhus Fortress – Koengen. Scores were 99-91, 99-91 and 98-92. Universally recognized as the #1 Pound-for-Pound Women’s Fighter and the only undisputed champion in boxing, Braekhus took advantage of her height and controlled the action with her range finding jab. Farias upped her aggression as the fight headed to the middle rounds but Braekhus continued to win rounds with excellent counter punching. Braekhus closed strongly through the championship rounds much to the roaring delight of the crowd. “We’ve worked very hard to make this happen, but all the people of Bergen make it worth it. This is unreal. I don’t know how you can top this. BRAEKHUS vs. FARIAS was the third professional boxing event to take place in Norway following the decades long ban on professional boxing. The official weigh in was held for “The Battle of Bergen” as “The First Lady of Boxing”, CECILIA BRAEKHUS, (30-0-0, 8 KO’s), holder of all five major welterweight world titles (WBC/WBA/WBO/IBF/IBO), and current WBC Junior Welterweight World Champion ERICA “La Pantera” FARIAS, (24-1-0, 10 KO’s), of Buenos Aires, Argentina both were within the welterweight limit of 147 pounds. Breakhus weighed in at 146.6 pounds while Farias tipped the scale at 144 pounds. 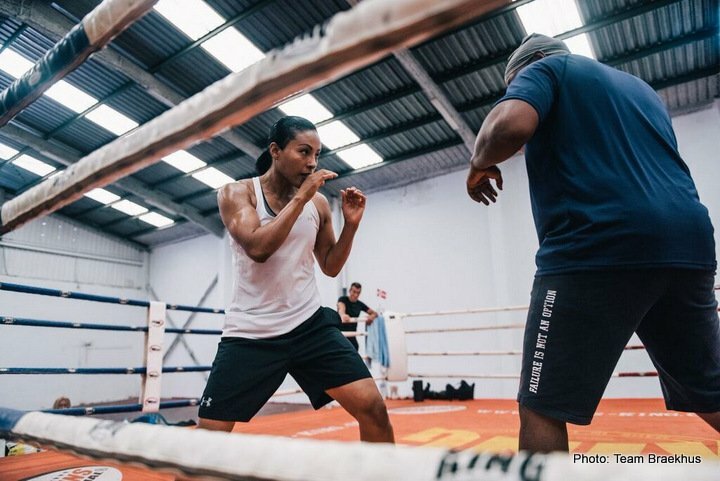 BRAEKHUS vs. FARIAS is the third professional boxing event to take place in Norway following the decades long ban on professional boxing. A crowd of over 15,000 is expected at Bergenhus Fortress – Koengen, a concert venue typically used for the biggest musical acts touring Europe. 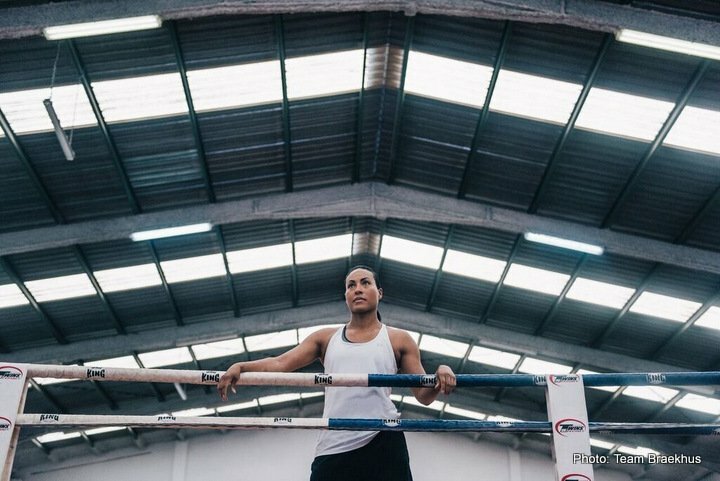 The only undisputed world champion in boxing, Braekhus is also universally recognized as #1 Women’s Pound-for-Pound Fighter in the World. 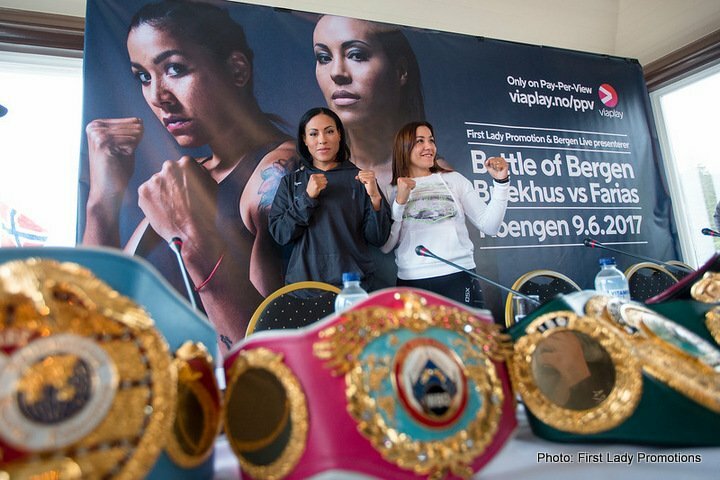 The Final Press Conference for the “The Battle of Bergen” was held as “The First Lady of Boxing”, CECILIA BRAEKHUS, (30-0-0, 8 KO’s), defends her Welterweight World Titles (WBC/WBA, WBO/IBF/IBO) against current WBC Junior Welterweight World Champion ERICA ‘La Pantera” FARIAS, (24-1-0, 10 KO’s) this Friday night, June 9 at the Bergenhus Fortress – Koengen in Bergen, Norway. 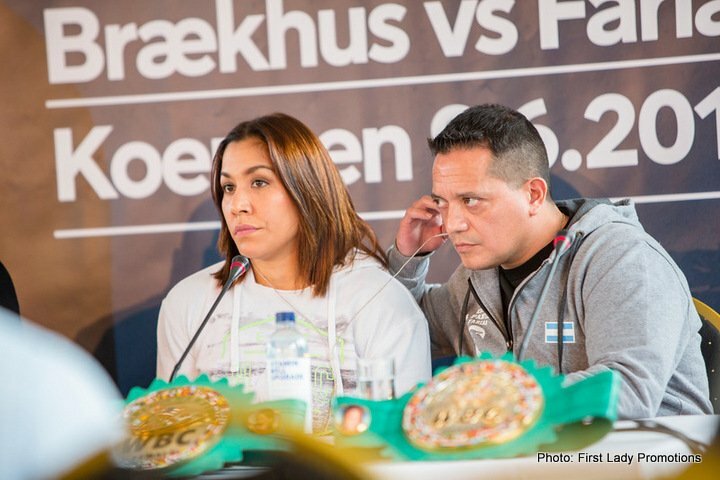 BRAEKHUS vs. FARIAS is the third professional boxing event to take place in Norway following the decades long ban on professional boxing. Braekhus is the only undisputed world champion in boxing A crowd of over 15,000 is expected at the concert venue typically used for the biggest musical acts touring Europe. 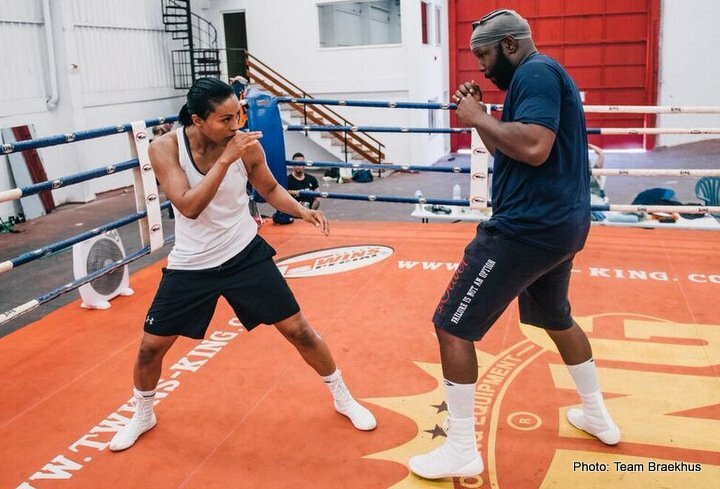 This afternoon media workouts were held just two days ahead of “The Battle of Bergen” as “The First Lady of Boxing”, CECILIA BRAEKHUS, (30-0-0, 8 KO’s), holder of all five major welterweight world titles (WBC/WBA/WBO/IBF/IBO), and current WBC Junior Welterweight World Champion ERICA “La Pantera” FARIAS, (24-1-0, 10 KO’s), of Buenos Aires, Argentina met again with the international media covering the event this Friday night, June 9 at the Bergenhus Fortress – Koengen in Bergen, Norway. 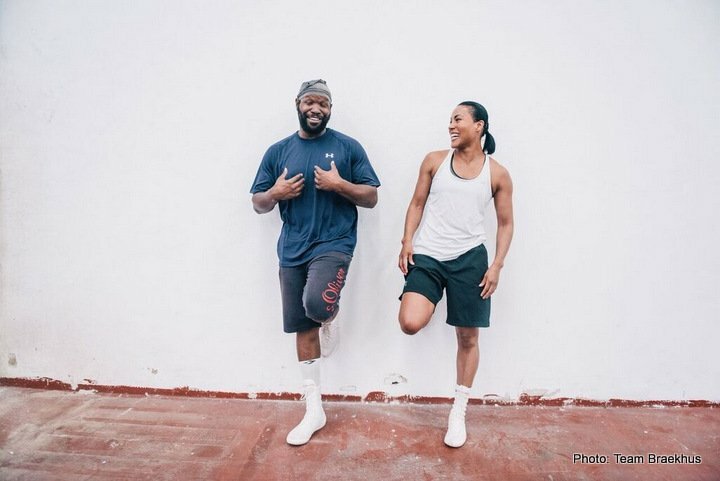 The only undisputed world champion in boxing, Braekhus is also universally recognized as the #1 Women’s Pound-for-Pound Fighter in the World. Additionally, the officials for the fight were also announced; the referee will be Frank-Michael Maass of Germany. The three judges will be Maurizio Rinaudo of Italy, Jean-Pierre Legland of France and John Madfis of the United States. 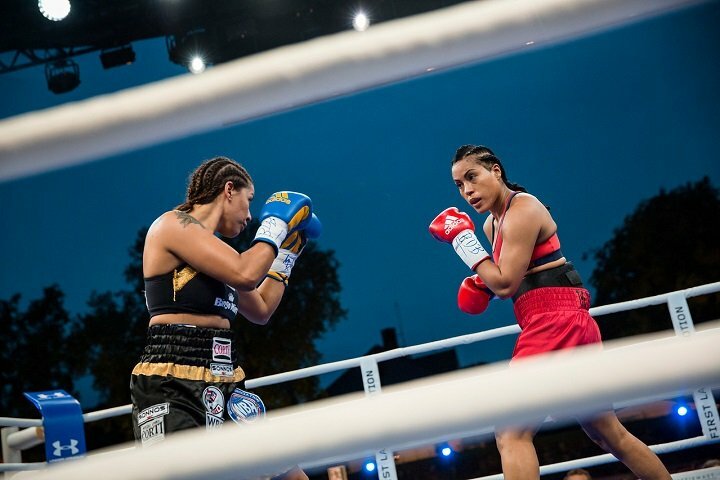 BRAEKHUS vs. FARIAS is the third professional boxing event to take place in Norway following the decades long ban on professional boxing. A crowd of over 15,000 is expected at the concert venue typically used for the biggest musical acts touring Europe. Previous boxing news: Who next for Pacquiao after he “demolishes this guy” Jeff Horn?